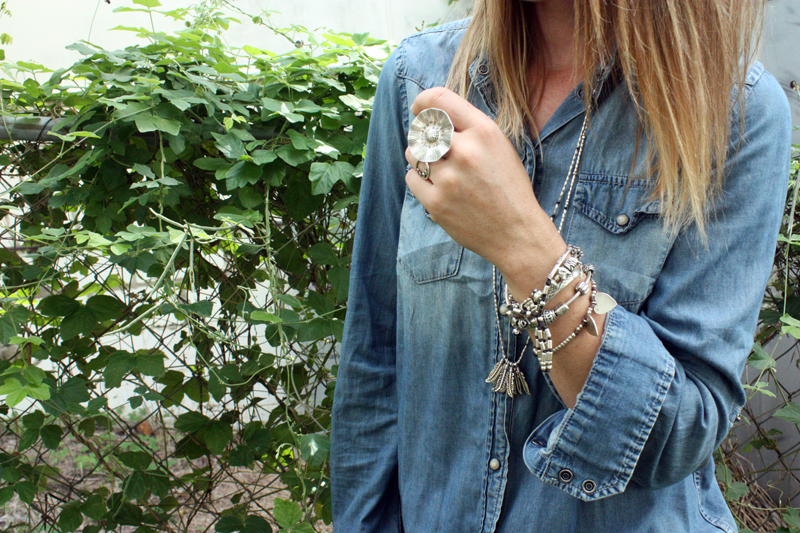 Boho jewellery layering chic made simple! 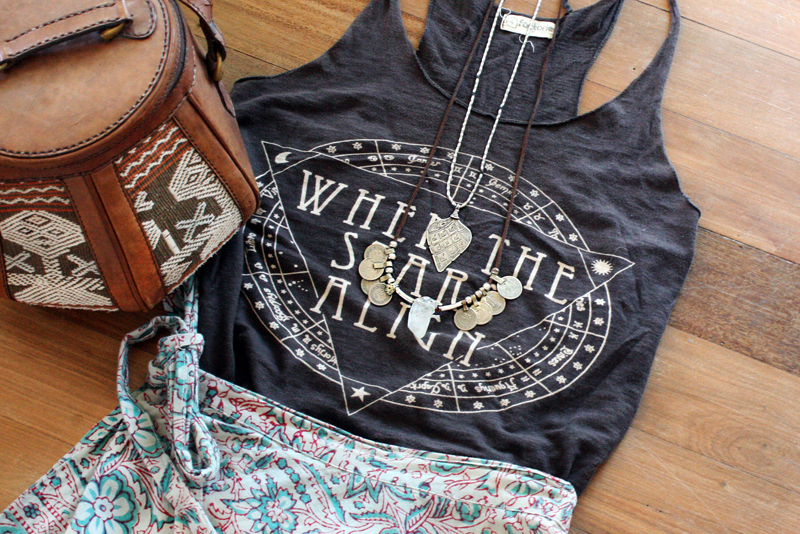 Some girls just seem to have effortless boho style down-pat. While it can be easy to look at these carefree goddesses with envious eyes there is a good chance that they may well have started off in the same place you are at right now. Style is a process of self discovery, evolution, and a whole lot of research. Whether or not you are aware of it we all look to others for inspiration. A few of us are able to subconsciously consume, deconstruct and replicate images from people we see in the street, in-store, online, or in print media. These people are the ones who claim ‘oh I don’t look to anyone else for styling ideas it all comes naturally’. While others have to actively seek these images and use a sorting system (be it Pinterest, photo boards, journals, or tactile folders) to identify what it is that they like and can replicate from others outfits. 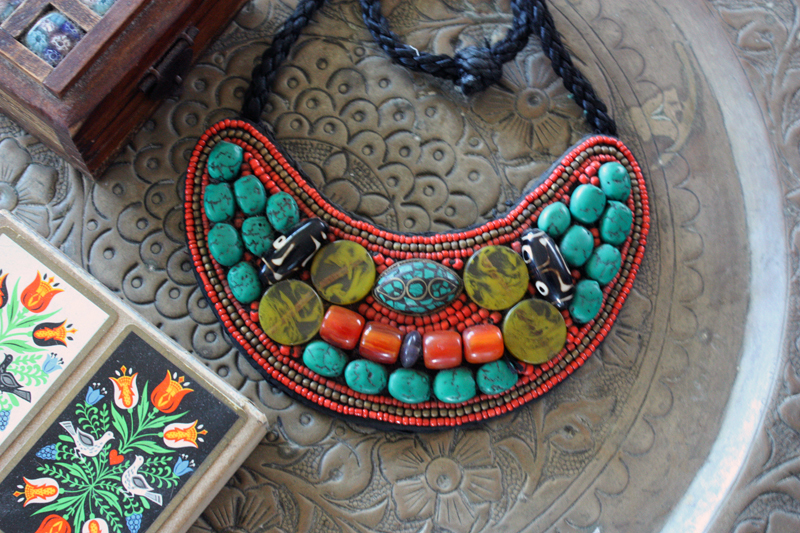 Today we are going to deconstruct the art of boho jewellery layering. After years of working as a jewellery sales consultant (this helped pay some of my study expenses) I went from being a woman who never wore jewellery to a woman who feels stripped of her identity without it. The fun part about jewellery sales is watching how other construct their jewellery ‘outfit’ and everyone has a different approach. My jewels have always leant themselves towards a casual boho aesthetic so I thought I might share my jewellery laying approach for anyone out there how might be in the ‘active research’ category of styling. There is no excuse for buying ‘junk jewellery’. If you think you want to start a jewellery collection don’t start by buying costume jewellery because the stuff doesn’t last and will end up becoming landfill within a year. You need to aim for products that are made from quality metals like gold, silver (925), titanium, stainless steel, platinum, and in some cases brass and try to shop for recycled or vintage options. If you can’t afford to start here find jewellery that is made from fabric, leather (if you aren’t vegan), recycled rubber, waxed cotton, wood, shell, glass, seeds, gemstone, or any alternatives that aren’t made or fastened with cheap metals. Steer clear of cheap metal jewellery that is gold or silver plating over pewter or nickel, or straight up painted, coated or raw cheap metals. Not only do these types of metals look awful after just a few wears (due to contact with the naturally occurring oils in our skin) they can cause allergies. Worse still there have been reports that many costume jewels have high levels of lead, cadmium, chromium, mercury and arsenic. Wearing these toxic chemicals on your skin leaves you open to anything from mild allergies to liver toxicity and cancer! So when you think about it you are better off to be a bare necked beauty than one thats proudly lugging around an on trend neck piece that could lead to an allergy or cancer. My best tip is to request jewellery as gift for special occasions, as then it has meaning for you as the wearer, or to save up and buy special pieces for yourself to commemorate occasions. Otherwise you can get crafty and make your own like this all time fave Sustainability in Style DIY! Start with a statement piece. There is a fine line between looking causally boho bejewelled and resembling a witch from a horror story. I believe the key to getting this right is selecting one hero piece. I like to choose a larger long necklace to start with. From here you can layer back finer shorter chain, or if you are feeling brave, you can add a choker or short chain for your third layer. If you are thinking about adoring your arms you can choose a statement cuff and add a few less decorate bangles. I tend to stick to silver but you can mix it up to suit your outfit with coloured pieces or mixed metal tones (rose gold and silver always looks nice together). 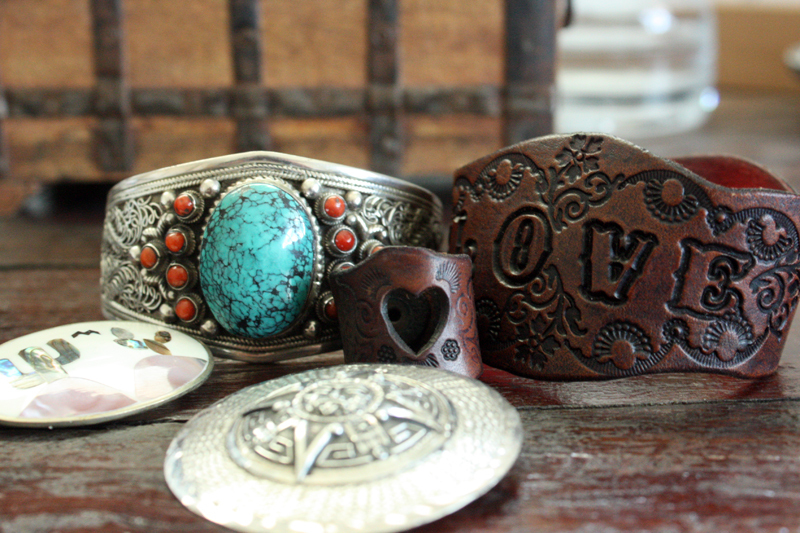 There are loads of images flooding social media of boho ladies with rings on every finger. While this does look quite cool on the right person, I have found it’s not very practical and isn’t good for your jewels. Having a ring on every finger means they all rub together. Over the long term this can cause serious scratches to your jewels. If you do choose to wear rings on adjacent fingers try to find ones that don’t rub on each other, or you can choose a midi ring. 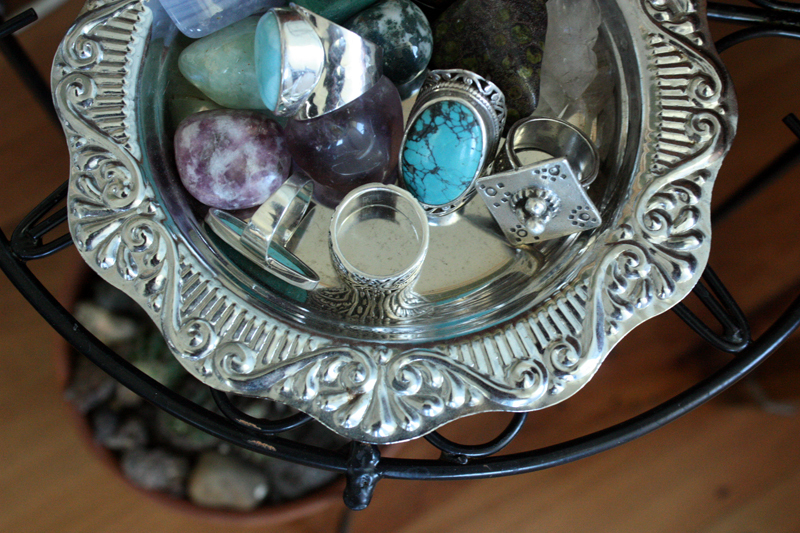 Alternatively you can add a leather, fabric, or rubber ring next to a metal one so your abundant supply of rings doesn’t result in damaged jewels that are covered with scratches. While a jingly bell covered anklet might be music to your ears it could well be the most annoying thing in the world to your co-workers. Be careful that your abundant jewels aren’t going to interrupt yourself or others. I am known to wear quite a decent arm full of bangles. I opt to wear these on my left arm because they make life a living nightmare when they are on my right. As a right hander my work can be slowed by negotiating an armful of bangles so be smart about your jewel choices. They should make you feel happy, not hinder your daily existence. While you might want to wear your pride and joy jewellery everywhere there are some places you really shouldn’t wear your jewellery. Precious metals don’t love chlorine. Please don’t wear your jewels in the spa. 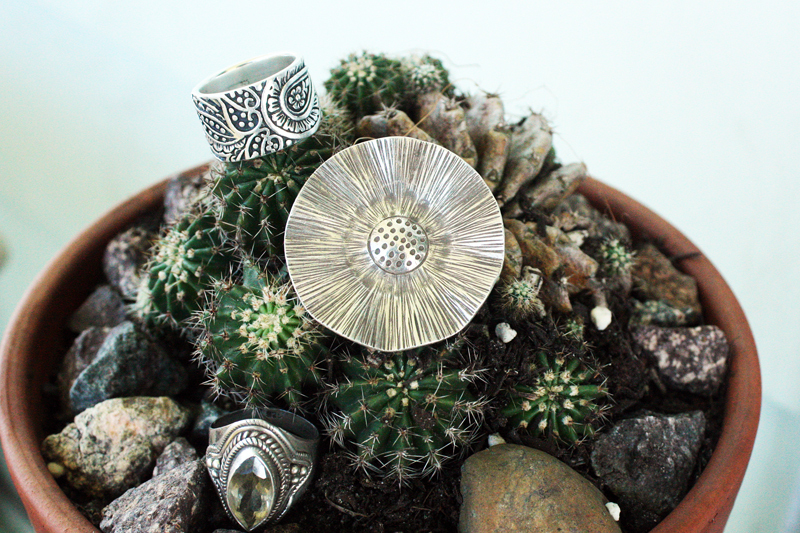 Digging around in the dirt while wearing your favourite rings might seem like an alright move but realistically you should take them off. While most jewellery will fare OK with some daily dirt and grime they really aren’t going to look their best and you will cause scratches to their surface. Be sure to check the care instructions for your chosen piece and use the appropriate cloths, cleaners and conditioners. Try to avoid chemical jewellery dips as they are no only full of nasty chemicals, they often strip delicate metals (especially silver with oxidised details) of their designs, and can cause damage to some semi precious stones. Here is a collection of beautiful labels that offer a variety of different ethical, socially responsible, and environmentally mindful options. I hope you enjoyed this styling session and please let me know if you have any further questions or requests. Also if you have a favourite jewellery brand shout it loud and proud in the comments section below! PreviousWanderlust: Refresh your soul in your backyard. Be sure to check us out. 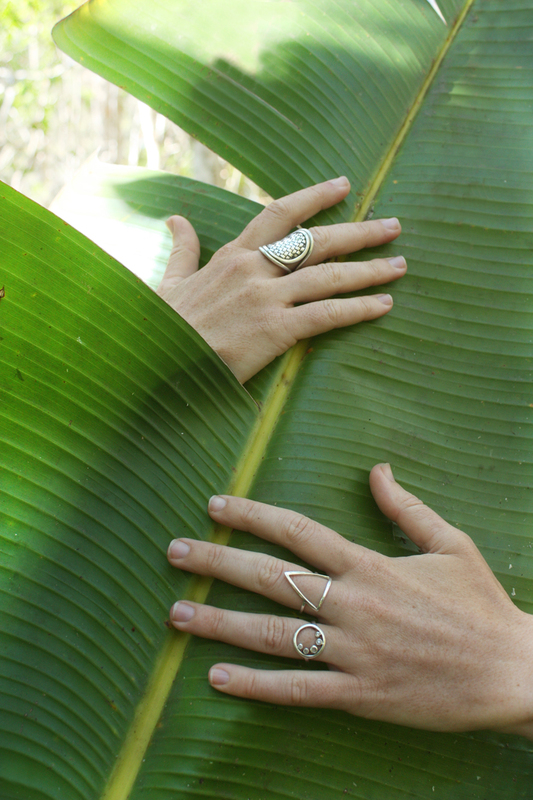 We are newbies around town but working hard to you bring contemporary ethical, fairtrade jewellery. Our mission through Grace and Able is help others carve paths out of poverty through Artisan enterprise. Please check us out! Thank you so much for getting in contact Emma. graceandable.com.au is an incredible venture and deserves to be celebrated! Keep up the excellent work.